Community Blog by GundamJehutyKai // Mini Review: Touhou Genso Rondo Bullet Ballet. Recently, I wrote up a mini Review for a rather niche game which was recently released on the PS4. That game was Genso Rondo, the first Touhou game to be officially released on the console. Now, for the completely uninitiated, Touhou is a series of doujin (basically, japanese indie) games which have been around for a while. They’re mostly bullet hell shmup games but they have diversified into a number of other genres as well. Each character has also been given their own fairly intricate back story and personalities so the Touhou universe is actually quite expansive. But that’s enough about Touhou in general. There’s a whole wiki dedicated to it so you can check that out for more info but lets go into Genso Rondo a little bit more. Like the other Touhou games, this started off as a full on indie title on PC which was upscaled and ported officially to PS4 before making its way to the west. Unlike the more standard bullet hell shooters, this one took its cue from a different came which is a little more near and dear to my heart, and that game is Senko no Ronde (aka Wartech: Senko no Ronde in the west). Senko no Ronde is a game by G.Rev, who are known for making rather different shmups and Senko no Ronde was no different. It was a 1vs1 fighting game with shmup mechanics so you picked a character and fought another one by shooting them and attacking with special weapons to whittle their life down to zero. Characters were differentiated by their playstyles and bullet patterns and the whole things felt very novel. It’s kinda difficult to explain but you can find gameplay videos on youtube so that’s your best bet. The game was popular enough to get a (jp only) sequel and the last revision came to the west on the Xbox 360 as Wartech: Senko No Ronde, which is where I found it! 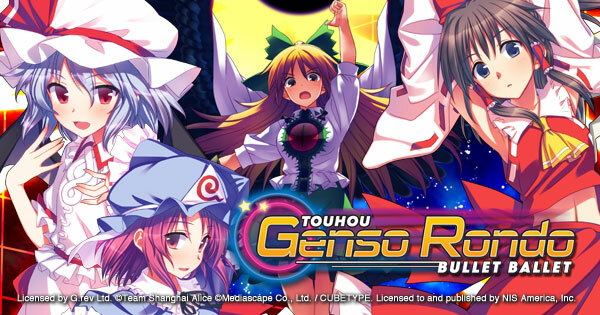 Fast forward to now, and Genso Rondo is a game which takes many of the traits of Senko no Ronde (under license) and inserted touhou characters into it! The basic mechanics are the same, You have a main weapon, a more pattern based charge attack, some close quarters moves and a special ability to summon a massive assist which temporarily changes your character into a huge Boss-like character from regular shmups (it was literally called B.O.S.S mode in Senko no Ronde, but spell mode here). Each character gets a story mode and there’s an arcade more (which plays more like survival) for a more difficult challenge. In every mode, the objective is the same, hit the opponent with your attacks and knock their life down to zero while avoiding their attacks so they can't do the same to you. 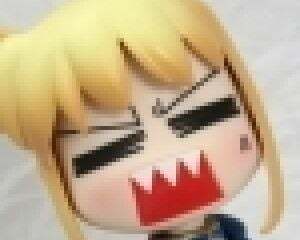 The game has 9 characters from the touhou universe with 3 DLC characters. One can be bought as part of the limited edition of the game while the other 2 cost around £3 for their story modes, though you can play them in the other modes for free. There’s also an online mode to battle others, if you can find them! That’s how the game plays, but how is it? It’s basically Senko no Ronde – I really loved Senko no Ronde. It was an impulse purchase when I got my first 360 and I still played it on and off so a similar game is fine by me! Accessible to all – Although it’s a touhou game, it’s pretty easy to pick up and you don’t need to know much about the universe to start playing. A little too overly complicated mechanics – Senko no Ronde was initially an arcade game so the controls were left fairly simple with the depth coming from the gameplay and while Genso Rondo has the same basic backbone, the system in Genso Ronde has had some extra additions which overcomplicate the game somewhat. There are now 9 different types of attacks depending on how your character is moving and that’s a little too many to keep track of and many are somewhat redundant. It’s doujin roots show too much – Despite being a full retail release, it’s clear that this was not a release with major money put into its development. It’s just the little things like how characters only have 1 win quote, which leads to odd points where a character asks if you have seen a character, after you had just beaten said character. Too damn niche – This isn’t a fault of the game itself, it’s just how it it. It was incredibly difficult to find online matches on Senko no Ronde back in the day and it’s even harder for Genso Rondo. If you have someone on your friend list who also plays, then its fine but you’re unlikely to stumble across someone to play against and unlike other fighting games, you can’t play a different mode while waiting for a match. Genso Rondo is an incredibly niche game with only limited mainstream appeal. But if you’re someone who really likes their shmups and/or Senko no Ronde back in the day, then it will definitely scratch your itch. It’s also a budget title which you can get for cheap so even if you’re just a little interested, you might want to just give it a shot.